The most mentioned accounts in this time frame have been the following: @paulocoelho (265 mentions and retweets), @jeffjarvis (81), @bill_gross (74), @davos (63) and @loic (39). 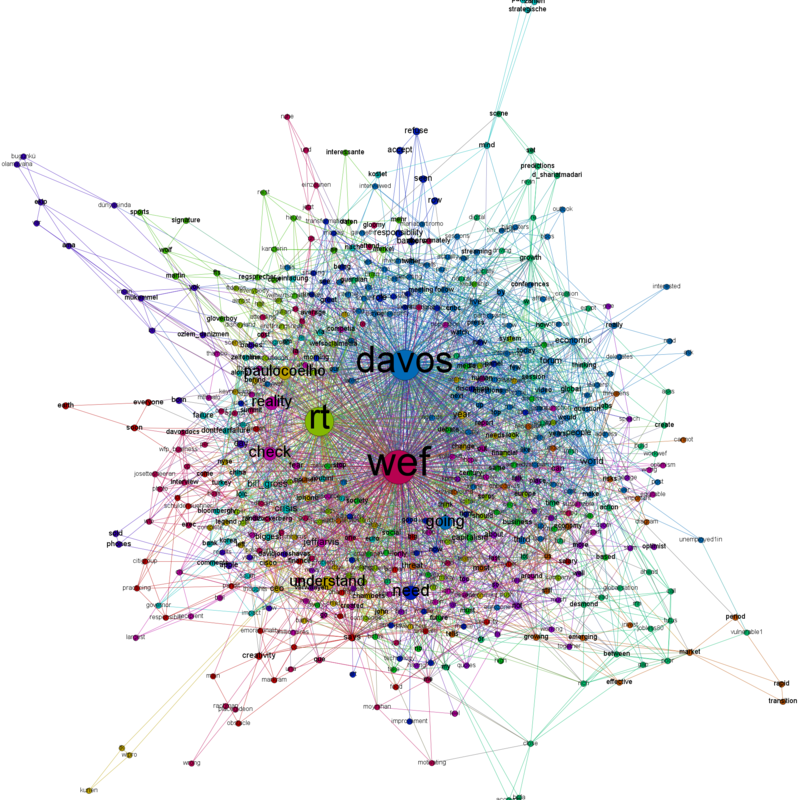 Interestingly, these five most frequently mentioned accounts did not contribute much to the Davos related Twitter conversations: Paulo Coelho mentioned #WEF in a tweet that has been resounding in the analyzed time frame and Jeff Jarvis did post three tweets. Here’s a visualization of the Twitter users mentioning each other. The larger a node, the more often it has been mentioned by other users. 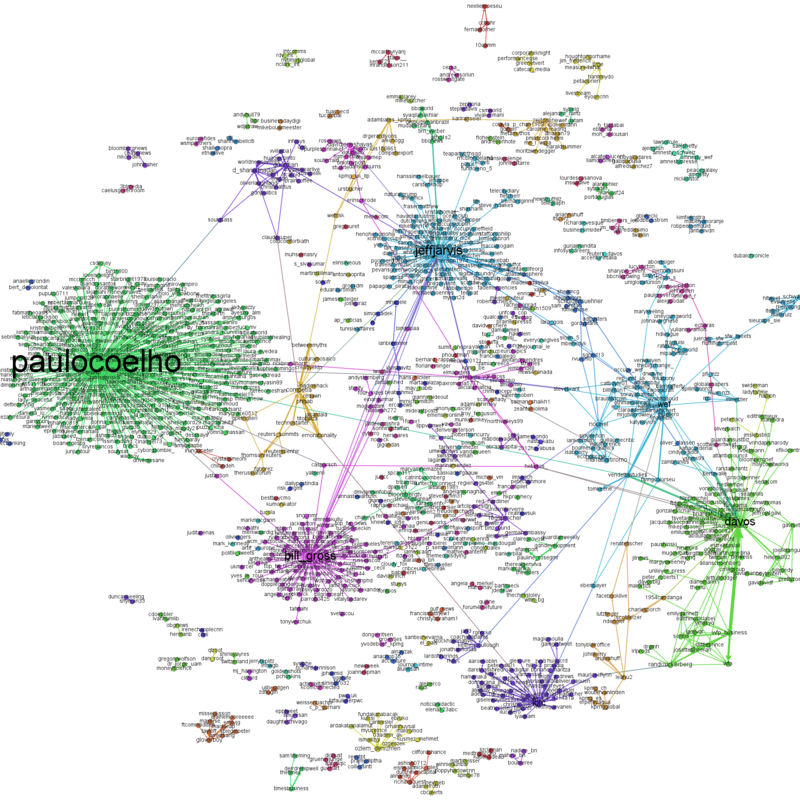 Next Next post: DLD Conference – what were Twitter users discussing?